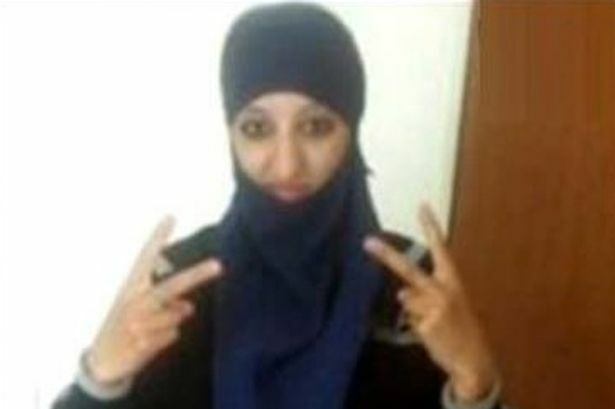 Hasna Aitboulahcen rented the safe house in France for the Paris ISIS terrorists. She was killed during a police raid on the apartment. Aitboulahcen’s last words were captured on video when she was screaming at French police. She died when one of her ISIS accomplices blew himself up in the raid. But her family says Hasna Aitboulahcen was a victim of violence and was murdered by police. The Islamist woman’s family is suing French police over her death. The family of Hasna Aitboulahcen, a cousin of alleged Paris attacks ringleader Abdelhamid Abaaoud who helped him on the run and died with him in a police raid, have filed a murder complaint, their lawyer said. The young woman was killed on November 18, five days after the attacks, in a raid on an apartment in Saint-Denis, north of Paris, where they found Abaaoud and fellow Belgian-Moroccan Chakib Akrouh, who blew himself up. Aitboulahcen, 26, had found and negotiated rental of the safe house for the two jihadists. Her mother, sister and brother filed a complaint against persons unknown for terrorism and murder on January 13 with Paris anti-terrorist judge Christophe Teissier, according to a copy of the complaint seen by AFP. “I consider that Hasna Aitboulahcen is a victim,” the family’s lawyer Fabien Ndoumou said Wednesday. “She was under pressure from her cousin who threatened her family and the families of her friends,” he said. Investigators initially mistakenly believed there had been a woman suicide bomber at the Saint-Denis apartment but Aitboulahcen’s body was found almost intact in the rubble a day-and-a-half after the police assault, according to a source close to the case.